Godox's TT350, TT685 and V860 II flashes and X1 radio triggers are available for Fujifilm, Olympus and Panasonic; the full X1 system now supports cross-brand TTL. Just a few months ago, we reported that Godox was planning to release their first speedlights for Fujifilm and Micro Four Thirds (M43). For casual shooters, the Godox TT350-series might complement the small form factor of mirrorless interchangeable-lens cameras better, but it is great that more demanding shooters finally have the option to use the Ving V860II-series of flashes, which use lithium-ion batteries. As well as the new flashes and triggers, all existing products compatible with Godox’s 2.4 GHz X1 system have received a firmware update making them compatible with Fujifilm and Micro Four Thirds. 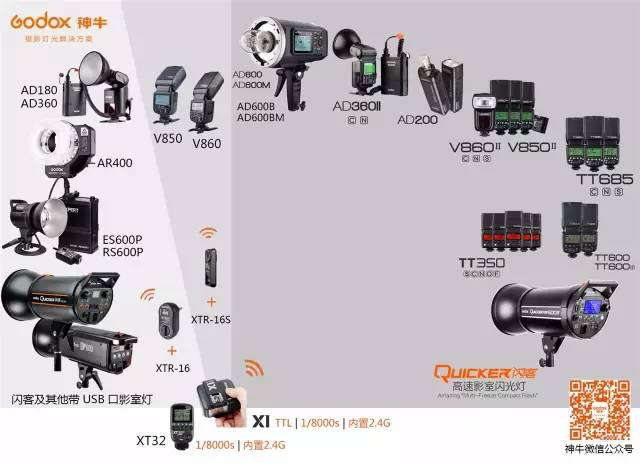 This means that if you buy a Godox X1-F or X1-O transmitter, you can use it with your existing speedlights—such as the Witstro AD200, Ving V860 II-N or even Witstro AD360 II-C—taking advantage of Godox’s cross-brand TTL support. 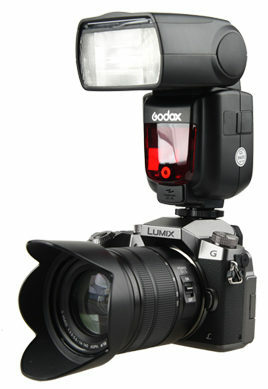 All you need to do is make the master flash/transmitter in your camera hotshoe matches that camera’s brand. We at Lighting Rumours are quite excited about this news, because it means we can use our existing flashes with even more platforms. What do you think? Let us know in the comments!